The National Peace Committee has identified Rivers State and some states in the North-East as flash point areas of the 2019 general elections. The committee, which met with Chairman of the Independent National Electoral Commission (INEC), Prof. Mahmood Yakubu, in Abuja yesterday, however, promised to intervene in the areas and ensure peaceful conduct of the polls. 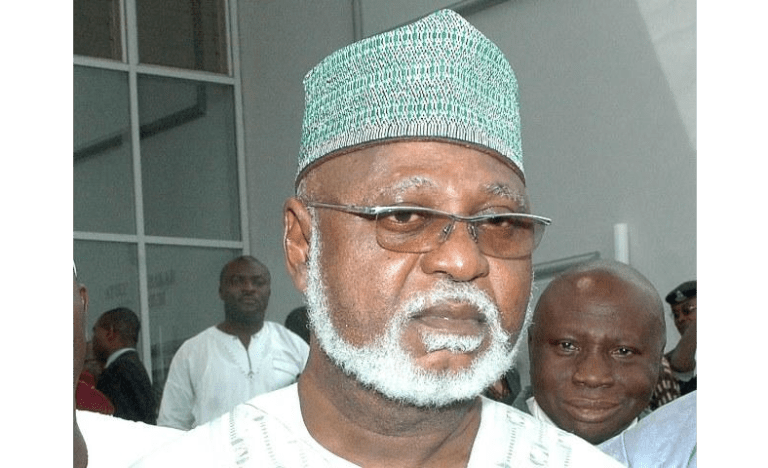 Chairman of the peace committee and former Head of State, General Abdulsalami Abubakar, who spoke at the end of the meeting, also disclosed that the committee would meet with national chairmen and secretaries of registered political parties today, to listen to them. “I’m worried about the security situation in the North-East and it is necessary that we try to contain violence there in order for INEC to go there and conduct election. “You should know that INEC will not send people to endanger their lives in order to conduct election and, in actual fact, no agent or no political party will endanger the lives of its people in any conflict area. The former head of state promised to help sanitise the political arena. According to him, INEC has assured the committee of its readiness for the general elections, but called for issue-based campaign by political parties. The fprmer head of states promised that the committee would ensure there is decent electioneering campaign and that there are no hate speeches, no name calling and undesired utterances by politicians. “We are going to meet with the chairmen and secretaries to all political parties tomorrow (today) in order to discuss and also listen to them and see how we can make progress. “After the meeting with the political parties, we are going to draw a Memorandum of Understanding of peace and tranquillity and this we hope will be signed by all the presidential candidates and the chairmen of the registered parties. “Like all Nigerians, we pray and hope we will get assurances that INEC will do the right thing and the political parties will help them also in exercising their right, in a free and fair election. Each Nigerian has a role to play and I hope they will play their parts,” he said. The former head of state decried conduct of the parties’ primaries, especially the imposition of candidates.